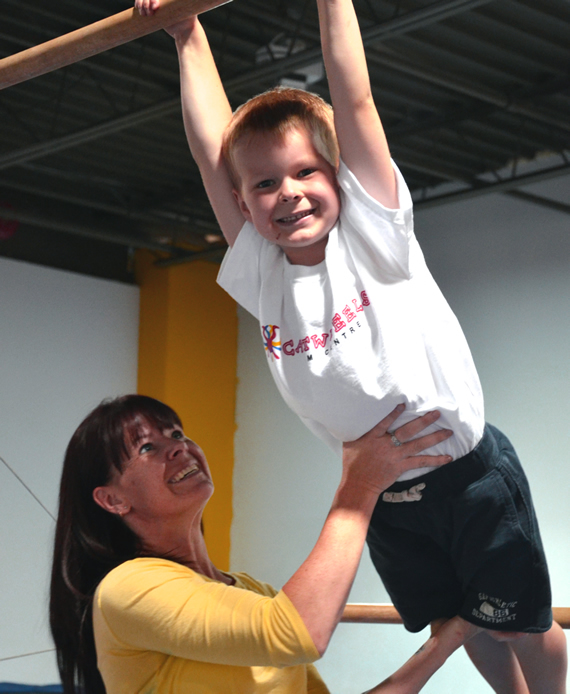 Founded in 2010 by Jennifer Budgen and Patricia Murphy-Banna, Cartwheels Gym Centre is the newest full-featured indoor gymnastics facility in Halton Hills. We are located in Georgetown at the intersection of Armstrong Ave. and Mountainview Rd. 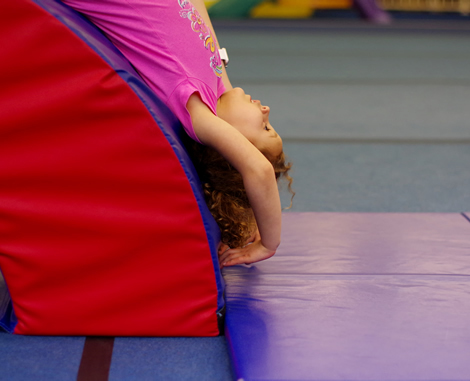 where we offer a wide-range of recreational programs and activities for children aged 1-10. Jenn Budgen graduated from Lambton College in Sarnia, Ontario, with a diploma in Sports Facilities and Recreation Administration. Jenn has been involved in the sport of gymnastics from the age of three, started to assistant coach at the age of eleven, and was coaching her own classes by the age of fourteen. Jenn was Head Coach for gymnastics offered at the YMCA of Sarnia-Lambton by the age of 17. Jenn has obtained many coaching certifications such as full NCCP Level 1 certification, level 2 Theory, and level 1 Trampoline. She has also taken courses such as the Gymnastics Ontario's Preschool Specialist program, recreational & preschool courses, G.O. 's annual Coaches' Congress, and even travelled to Philadelphia in 2001 to participate in a week of courses at the USA Gymnastics Congress for Coaches. Jenn lives in Georgetown and is a proud Mom of two sons, two step sons and a step daughter. Patricia Murphy-Banna has a Bachelor of Applied Science degree majoring in Child, Youth and Family from the University of Guelph. She also graduated from the Early Childhood Education Program at Sheridan College. Patricia has obtained her Level 1 and 2 NCCP certification, plus Level 1 Trampoline. Patricia has 20 plus years experience in coaching recreational gymnastics and has most recently been overseeing a program of recreational gymnastics, scheduling the staff and planning for summer camps, PA Days, and special events. Patricia lives in Georgetown and is a proud Mom of two sons.